Deepanwita Dasgupta is a philosopher of science and an assistant professor of Philosophy at the University of Texas at El Paso (UTEP). Her research areas are cognitive studies of science and scientific practice in its different peripheral and non-Western contexts (especially the contexts of the early 20th-century colonial India). She is interested in the emerging practices of the 21st-century science where scientific communities are routinely composed of many transnational groups, and might even include networks of collaboration with different traditions and cultures. Deepanwita thus sees science from a broad cognitive point of view, i.e., as something that emerges out of people and their many ideas and interactions. 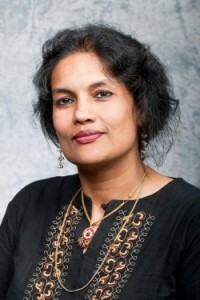 Focusing especially on the contexts of the early 20th-century India, and its pioneering physics community, Deepanwita has published a number of case studies where she has explored how such a modest group could bring in sets of new ideas in science, and in this way lay the foundation for a new professional community. She is thus interested in the problem of how contributory expertise in science could be born among self-trained scientists, who often work in the absence of a readymade community (or a readymade system of education). Deepanwita has taught various courses on scientific thought, science and society, and science and modern world at various institutions, such as the University of South Florida and the University of Texas at El Paso. She has been part of the Studies in Experience and Expertise (SEESHOP) group at Cardiff, UK, has presented numerous times at the History of Science Society Annual Meetings, and is currently collaborating with the Chemistry Department at UTEP to teach Science and Ethics courses in their MARC program. She is also currently writing a book on the physics community of the early 20th-century India, and their many contributions to the 20th-century science. “Scientific Practice in the Contexts of Peripheral Science: C.V Raman and His Construction of a Mechanical Violin-Player.” Perspectives on Science 24 issue 4 (2016): 381-395. “Stars, Peripheral Scientists, and Equations: The Case of M.N. Saha,” Physics in Perspective 17, issue 2 (2015): 83-106. “Creating a Peripheral Trading Zone: Satyendra Nath Bose and Bose-Einstein Statistics, Doing Science in the Role of an Outsider.” International Studies in the Philosophy of Science 26, no. 3 (2012): 259-287.